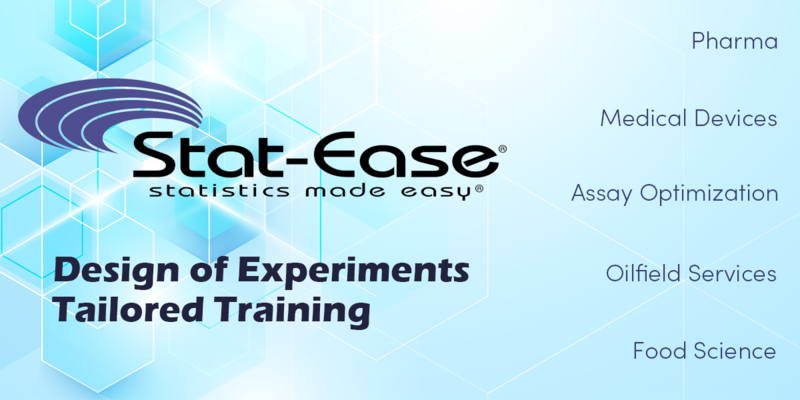 Bring Stat-Ease workshops to your organization with our private, on-site training. We travel to locations both in the United States and internationally! Request a quote today - call our Lead Client Specialist at 612.746.2030 or e-mail workshops@statease.com. Would you like to evaluate the workshop you are interested in first? If so, we recommend that you send someone to the public workshop. If the class is subsequently held privately at your location, we will give you a $500 tuition credit towards the on-site workshop. In order to be eligible for the discount, however, you need to contact the Workshop Manager prior to attending the public workshop. We offer a 20% discount on software, textbooks or consulting hours purchased in conjunction with a workshop. For more information about on-site training, call our Lead Client Specialist at 612.746.2030 (or e-mail workshops@statease.com). Click here to register for public workshops. Thank you for considering us! We are confident you will be impressed with our expert instructors and quality curriculum.